Prospective graduates should read the following information carefully for a smooth degree conferral process. All degree and institutional requirements must be met prior to degree conferral. It is the student’s responsibility to know and meet all graduation requirements and deadlines. Prospective graduates are encouraged to meet with his/her advisor for a graduation audit to ensure that all program requirements are successfully met. Information to prepare for graduation and commencement is below, please review the Graduation Checklist for information including the review and conferral process. All students must file an application for degree conferral online with the Office of the Registrar, HGA 007, to become a candidate for graduation. Graduation applications should be filed a semester before the semester of program completion and by the Graduation Application Deadline. The Graduation Fee is $80. ALL students are assessed graduation fees which include expenses related to processing, graduation activities, commencement convocation, diploma, and academic regalia. In filing the application for degree conferral online, graduation fees are billed to the student's account for the semester in which the student is applying to graduate but must be paid prior to the student being cleared for graduation. Students may pay graduation fees at the Bursar's Office (HGA Room 018). For more information, please visit the Office of the Registrar, HGA Room 007. 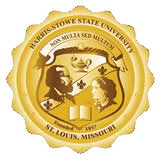 Login to the MYHSSU Student Portal (www.live.hssu.edu). Under the “My Dashboard” tab, locate the Graduation Application window. Click “Submit” to file your application. Print or Save your submission page. Check your Hornet e-mail for confirmation of submission. Applications must be filed by the published Graduation Application Deadline, late applications will not be accepted. Graduation applications filed after the deadline will be processed for the next Degree Conferral date. *The Degree Conferral date is subject to change without prior notice. Applications filed after the Graduation Application Deadline will be processed for the next degree conferral date. In part of meeting institutional requirements, every candidate must file a Graduation Clearance Form during the semester of degree conferral to ensure all institutional obligations are met. Graduation Clearance Forms filed in prior semesters are not valid. For graduation clearance, candidates must file the Graduation Clearance Form online and complete the clearance requirement outlined on the form. It is not necessary for candidates to visit each office unless the clearance requirement is not met or there are questions about the requirement. The Graduation Clearance Form must be filed online in order for each department to the candidates request for clearance. Click here to file the Graduation Clearance Form. The Graduation Clearance Form must be filed and clearance requirements met by the last day of instruction before the final exam period in the semester of graduation. All clearance requirements must be met before the degree can be conferred. Questions about the graduation clearance process should be directed to the Office of the Registrar. Graduating students must be listed on the official University roster and therefore must be enrolled in the semester which a degree is conferred. Students filing for degree conferral in a semester during which they are not currently enrolled must enroll in the applicable "For Degree Only" 0499 course and pay the one credit hour in-state tuition and fees in addition to meeting all graduation requirements. Meet with your academic success coach/faculty advisor for program completion review. Request that your advisor forward your program review and any approved program substitutions or waivers to the Registrar. Apply for graduation with the Office of the Registrar. Provide the name for your diploma/commencement program. If you have filed a FERPA Non-disclosure request, your name will not be printed. Contact the Registrar's Office for information. Verify and update your permanent address in MYHSSU. Resolve any outstanding transcripts and required test scores. Meet all course and other requirements as outlined for the degree program. Official admission to the degree program. Meet grade and grade point average requirements. Successful completion and receipt of required exit exams/assessments, if applicable. Meet the graduation residency and degree program credit hour requirement. Resolve your account balance, if applicable, and any active holds on your student account. Meet all graduation clearance requirements and file the Graduation Clearance Form. Return rented textbooks upon completion of courses. ** With successful completion of all degree and institutional requirements, the degree conferral would be completed approximately one month after the graduation date. Upon conferral, official notice would be sent to the Hornet's e-mail and the graduation date would also display in the Education record of the MYHSSU Personal Info, Biographical Info window. Regularly check Hornet e-mail for important information. Check the HSSU Commencement web page for information.